Polish photographer and artist Michal Karcz uses digital tools to create fantastical landscapes out of photographs he's taken. 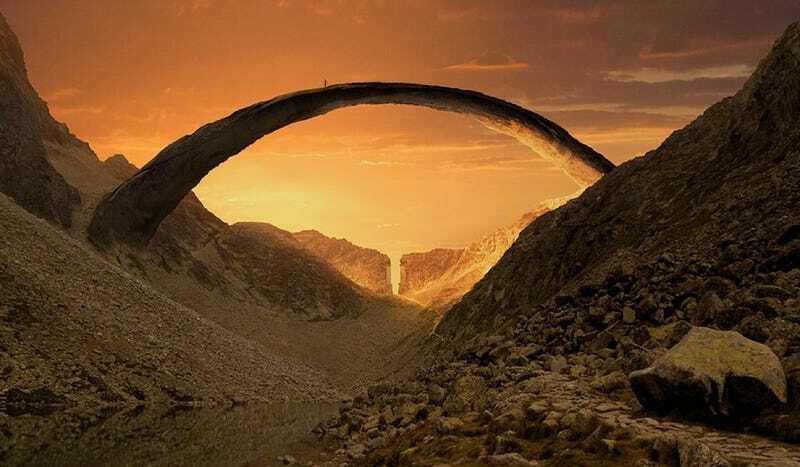 Here he's created a seemingly-impossible bridge between our world and Sauron's. Karcz writes, "Most of my work is like a journey to the places which don't exist." You can see a lot more where this came from in his gallery.